Chang P. Liu, Ph. D.
Chang P. Liu was born in China. He received a B.S. Degree in Civil Engineering from Taiwan University and a Ph.D. in Engineering Mechanics and Mathematical Physics from Virginia Tech. He worked decades in design and analysis of precision electro-mechanical devices. He published papers in the field of mechanical vibrations. 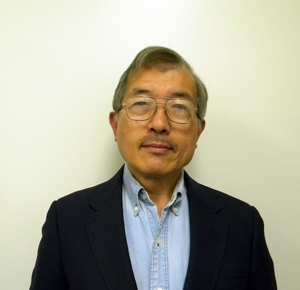 Chang holds three U.S. patents and numerous copyrighted language material software items. Chang was facinated during high school in Taiwan by many similarities in the phonetics and grammars between English and Chinese. And the phonetic similarity between Greek word "sauros" for a lizard to that of ancient Chinese name of this reptile. Dr. Liu sees human historical events as one kind of combined initial value and boundary value problems. Greeks and Romans could not have invented all the sophisticated hardware and spoken words in that short time span. Language study has become Dr. Liu's passion for the past twenty years. He has transliterated tens of thousands of English, Latin, Greek, and Hebrew words to their mother tongue of Chinese words of different ages of the past. Not only the Westerner's don't know why they are talking in their different ways (as said by Professor Mario Pei long ago), even the Chinese don't know how their ancestors were talking 4,000 to 6,000 years ago. That is, until now. Dr. Liu does not believe a brilliant past can bring a beautiful future. Because even a great present status does not guarantee a promising tomorrow. The knowledge about our true past tells us who we really are, and who the others are also. If we all know one another better, this little planet can be a better place for us all.